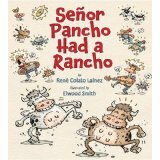 If you are not acquainted with the picture books of René Colato Laínez, get thee to a bookstore right away! A Salvadoran transplant who teaches kindergarten in California, René writes joyful, bilingual picture books that children everywhere adore. I am delighted to share a one-on-one conversation with René about his life and work. As a collaborator on Latin@s in Kid Lit, a blog that exists to promote those very goals, I say BRAVO! Now for a question: What led you to adopt these goals? René: I came to the United States when I was 14 years old. In my country, I was a smart student. I had good grades and many dreams to accomplish. In the United States, I did not know the new language. I felt lost and many times I thought that I would never be able to accomplish my goals. The inspiration to write books with a positive message to minority children came from my own life experience. I worked hard and never gave up. Yes! I accomplished my dreams. I am a teacher and an author. I want to tell minority children that they can accomplish anything they want. With “ganas” you can conquer the highest mountain. Lila: Let me brag on your latest book. Señor Pancho Had a Rancho has received glowing reviews. It was named a top picture book by Chicago Public Library and was included in the Cuatrogatos Foundation anthology, De Raices y Sueños. I could keep going, but let me pause to ask: What inspired you to create what’s essentially a Spanish version of “Old McDonald Had a Farm”? René: One day my ESL (English as a Second Language) teacher told us that we could learn English through music. She played the song of a man named McDonald and he had many farm animals. When I listened to the song, I was confused when the dog barked woof woof instead of gua gua. My teacher told me that in English farm animals made English sounds. I said to myself, “If I bring my perro from El Salvador, he has to learn English too!” Later on, when I became a teacher, I played the song with my kindergarteners, but I always added the Spanish sounds. After having so much fun with my students, I decided to write a book about both English and Spanish farm animals, where they could have a great time speaking two languages. Lila: Please share a bit about your childhood experiences of immigration from El Salvador. René: I left the country with my father, due the civil war. Along with thousands of Salvadorans, my family was looking for a better place where we could be safe from the war. But I had a happy life as a child. I loved to go to school and read all the comics books from Mexico and Argentina, like El Chapulín Colorado and Mafalda. Since first grade, I wanted to become a teacher. My favorite books were Don Quijote and Las Telerañas de Carlota. I was so surprised to find my favorite book in English, here in the United States—Charlotte’s Web. Lila: You teach kindergarten in a California school full of Latino children. How has this influenced your writing? Is teaching what led you to write picture books in the first place? René: In high school and college, I wrote many drafts of novels. But when I came to the classroom, I discovered picture books and soon fell in love with them. I started to write my own books for my students and they called me “El Maestro lleno de Cuentos” (“The Teacher Full of Stories”). Later on, after receiving advice from many teachers and talented authors such us Alma Flor Ada, Isabel Campoy and Amada Irma Pérez, I decided to submit my work for publication. Lila: Your books consistently offer bilingual texts. Why is this important to you? René: I love bilingual books because you can share them with families who speak Spanish, English or both. They can also be great tools to speak and learn to read a second language. When I started to submit my manuscripts, I always envisioned them as bilingual books—books that I could share with my students, their parents, my family here in the United States, and all my relatives and friends in El Salvador. Lila: Your writings frequently celebrate the happy coexistence of Latino and non-Latino cultures. 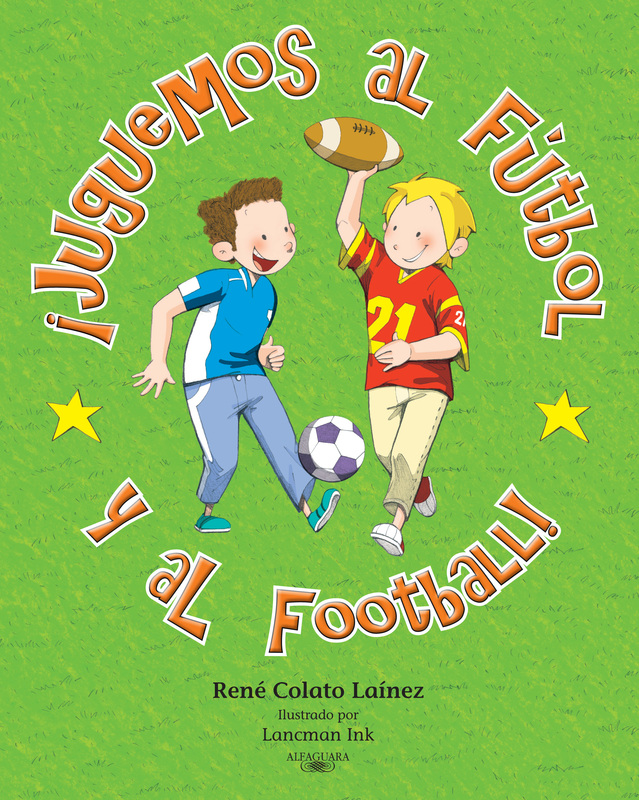 This occurs in The Tooth Fairy Meets El Ratón Pérez and in Juguemos al Fútbol/ Let’s Play Football (coming out this month in the bilingual hardcover edition), to name just two examples. What inspires your multicultural bent? René: Latino children usually live in two worlds in the United States. They speak English and Spanish and celebrate holidays from the two cultures. Many times people fight to see which language or culture is most important. I love them both and in my books I want to tell children that instead of deciding which culture is better, we can celebrate both and have double the fun. Lila: Writing a picture book looks easy only to those who have never tried it. What’s it like for you? Do you wait for inspiration to strike or do you have a disciplined routine? René: Writing picture books is so much fun for me. It was not easy at first but I read tons of them until I was ready to write my own stories for publication. I usually start with the problem or idea for a story. Then I think it over, again and again, and begin to create the story in my mind. When I have something solid, I begin to write it. Many incidents in the classroom help me with ideas for new stories. Lila: You graduated from the prestigious Vermont College of Writing for Children & Young Adults and have published at least nine books. That’s a lot of experience! Can you share some hints for aspiring writers? René: Never give up, believe in yourself, and work hard for your dreams. Take creative writing classes and join critique groups. If you are writing children’s books, it is always a great idea to join SCBWI, Society of Children’s Book Writers and Illustrators. Submit your work and learn from rejection letters. Believe in your stories, because you are the only one who can tell and write them. 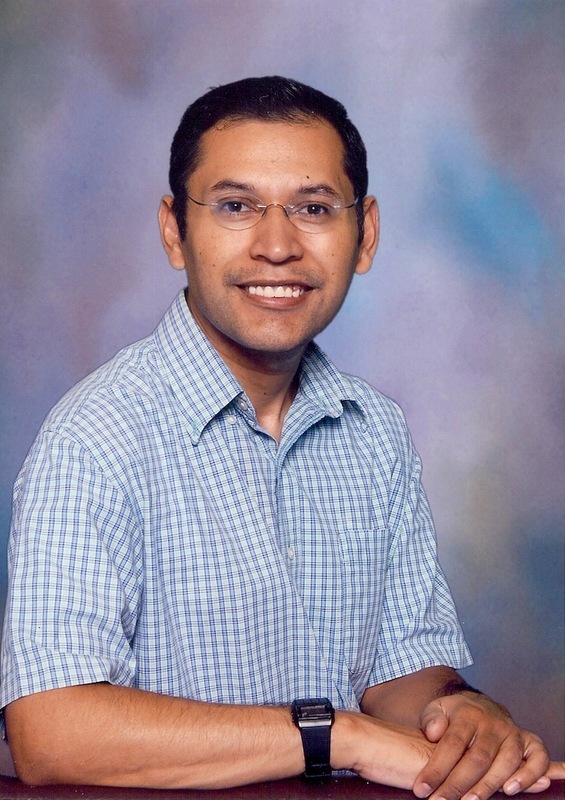 René Colato Laínez is a native of El Salvador. He is the award-winning author of many picture books and the recipient of honors that include the Latino Book Award, the Paterson Prize for Books for Young People, the California Collection for Elementary Readers, the Tejas Star Book Award Selection, and the New Mexico Book Award. He is listed among “Top Ten New Latino Authors to Watch (and Read)” by the site Latinostories.com*. He received a degree from the Vermont College MFA program in Writing for Children and Young Adults. René’s full-time profession is teaching kindergarten in California. For more information, please visit his official author site.